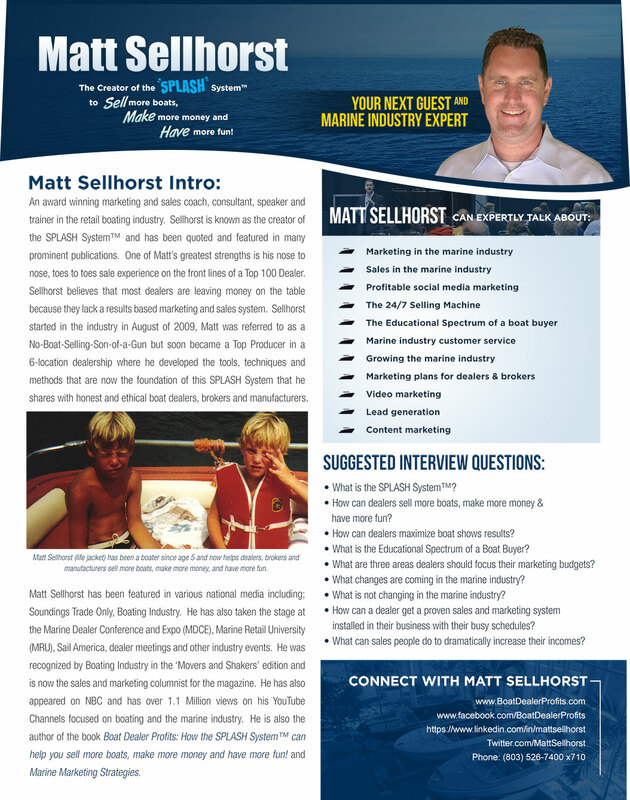 Click here to read Boating Industry’s Press Release on Matt’s new podcast. Click here to read Boating Industry’s Press Release on Matt’s new book. Click here to read Boating Industry’s Press Release on Matt’s joining the Boating Industry team as a regular columnist.